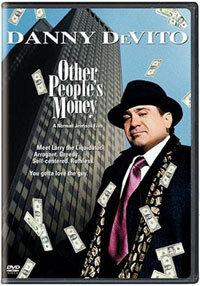 In "Other People's Money," Danny deVito plays a ruthless corporate raider bent on taking over a family-run company. When two companies merge, the boards of directors (or the owners, if it is a privately held company) come to an agreement. The original companies cease to exist, and a new company forms, combining the personnel and assets of the merging companies. Like any business deal, this can be straightforward, or incredibly complex. The key is that both companies have agreed to the merge. In an acquisition, one company purchases another. The purchased company ceases to exist, or it becomes a part of the buying company. The buying company owns all assets, including the name of the company, their equipment, their personnel and even their patents and other intellectual property. However, just like a merger, the boards or owners of both companies have agreed to the transaction. A stock confers a share of ownership in the company that issued it. If a company issued 1,000 shares, and you own 100 of them, you own a tenth of that company. If you own more than 500 shares, you own a majority or controlling interest in that company. When the company makes major decisions, the shareholders must vote on them. The more shares you have, the more votes you get. If you own more than half of the shares, you always have a majority of the votes. In many respects, you can control the company. So a hostile takeover boils down to this: The buyer has to gain control of the target company and force them to agree to the sale. We'll explain how it's done in the next section. Japan Turns HostileFor decades, Japan's corporations have been resistant to takeovers because of a system of cross-holdings. Companies all hold stock in other companies, which makes it nearly impossible for anyone to gain a controlling interest. It also promotes a stable business environment, since a strong economy benefits everyone. However, economic struggles have led to many companies selling off their cross-held stocks to increase capital or cover bad loans. In 2000 and 2001, the cross-holding system began to unravel, and Japan has seen a rise in takeovers since then [ref].